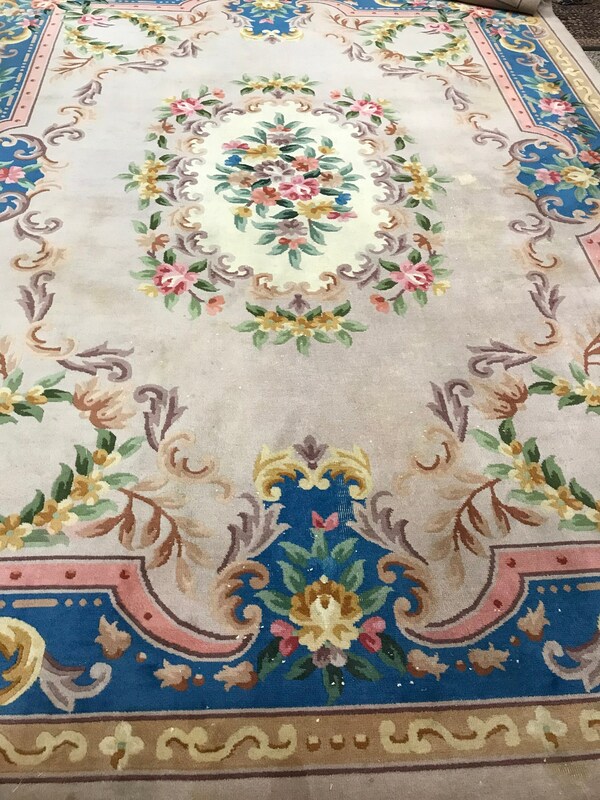 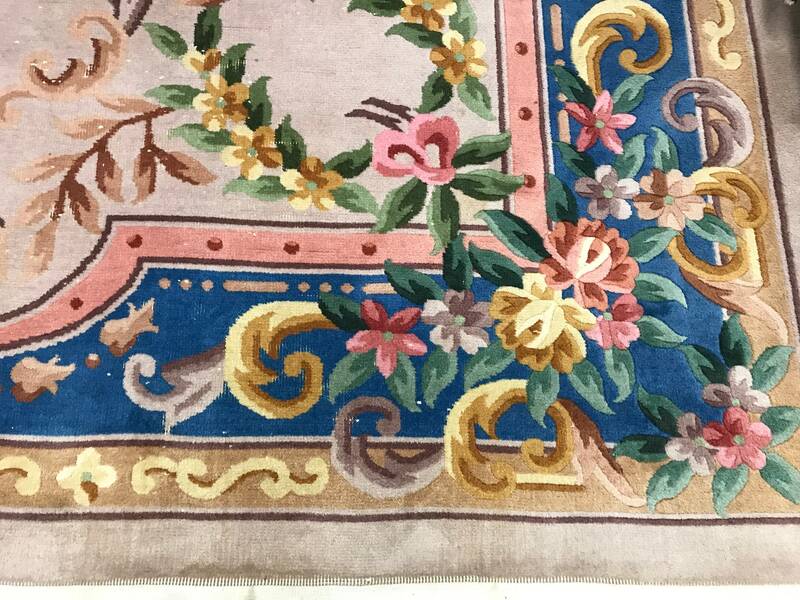 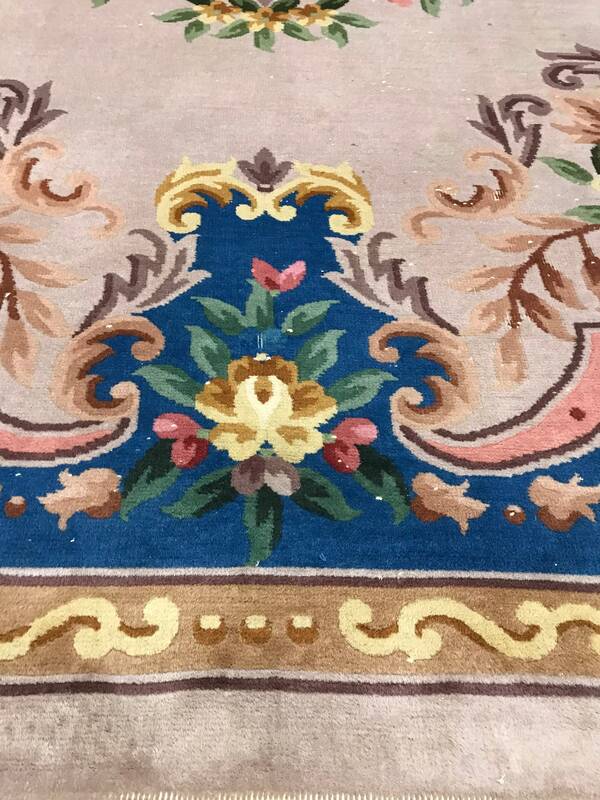 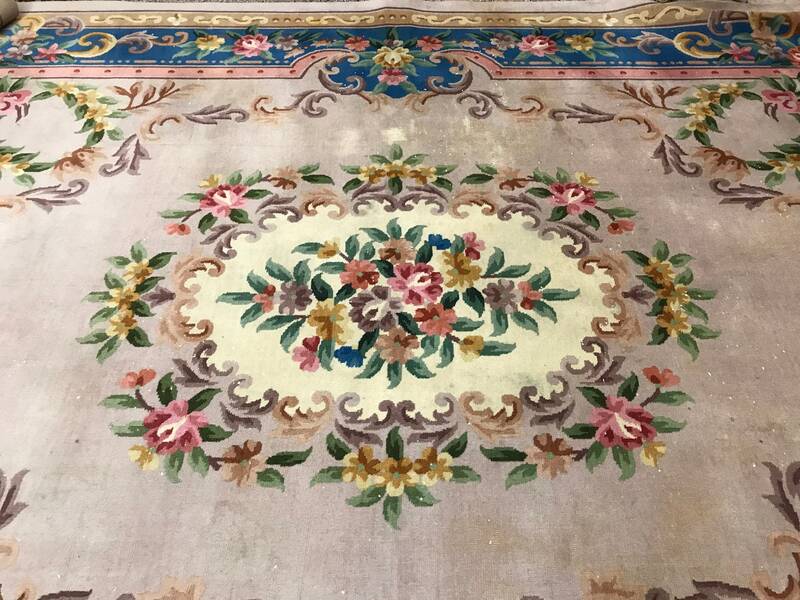 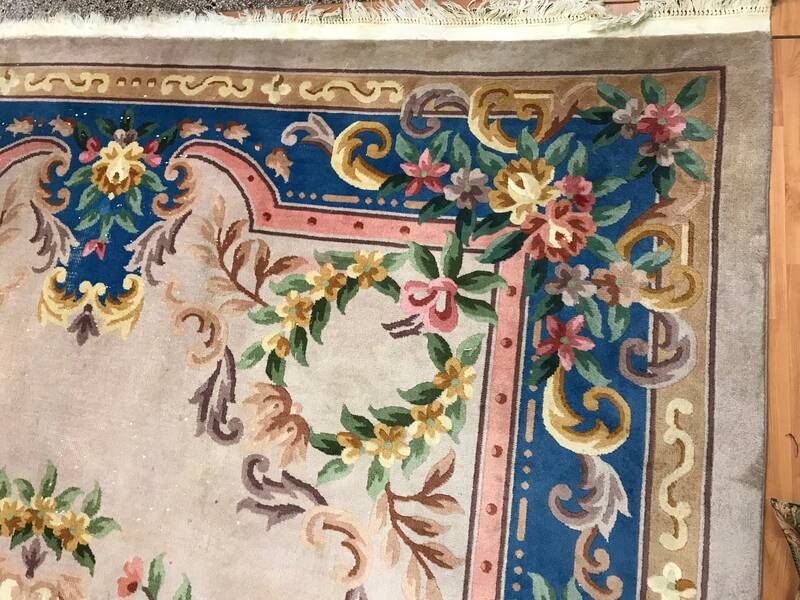 This beautiful Oriental rug is a 10' x 13' Chinese Aubusson, circa 1970s. 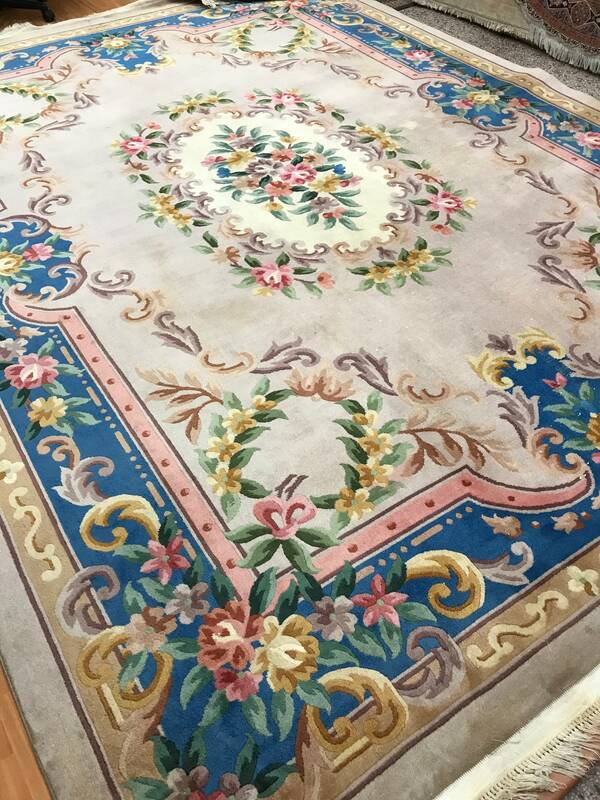 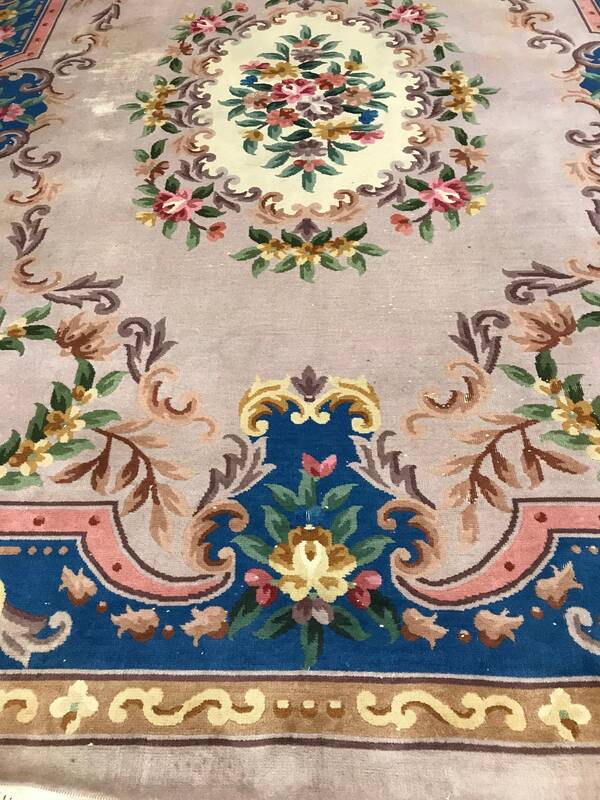 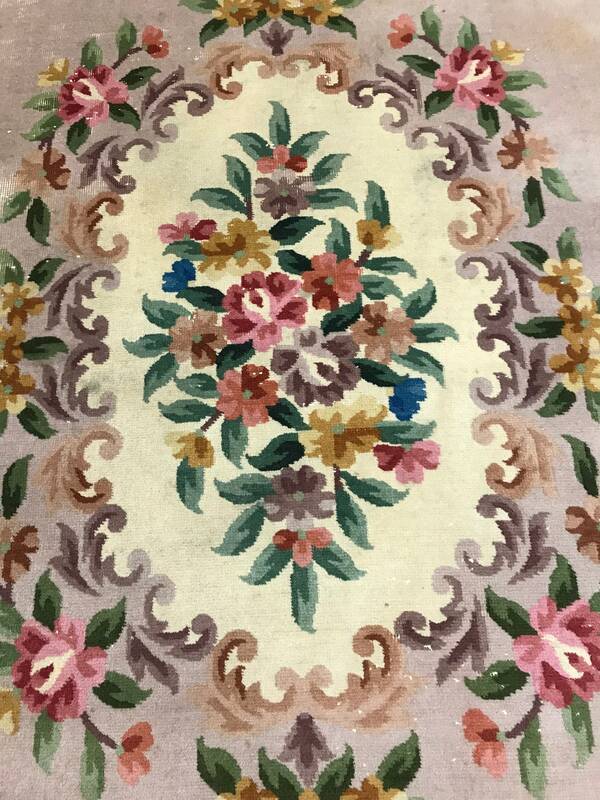 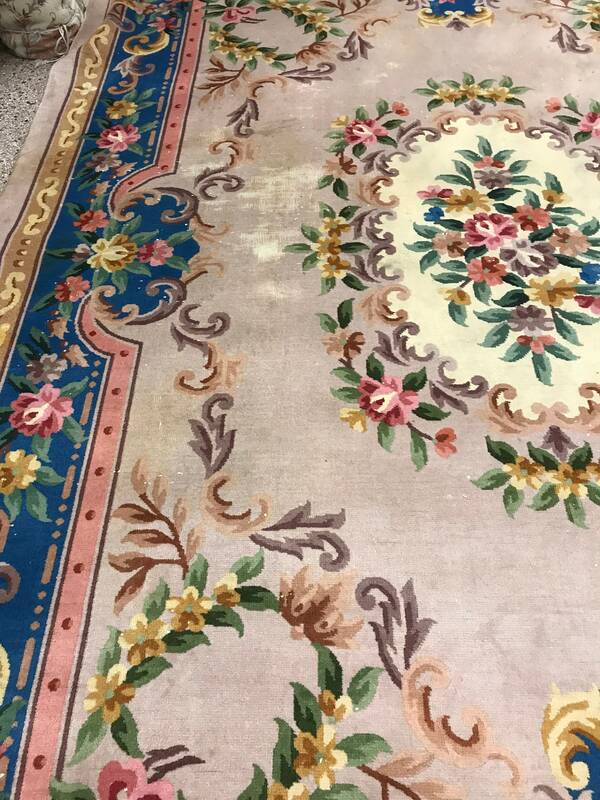 This hand made Chinese rug is made with 100% wool, has some low pile areas and was recently professionally hand washed. 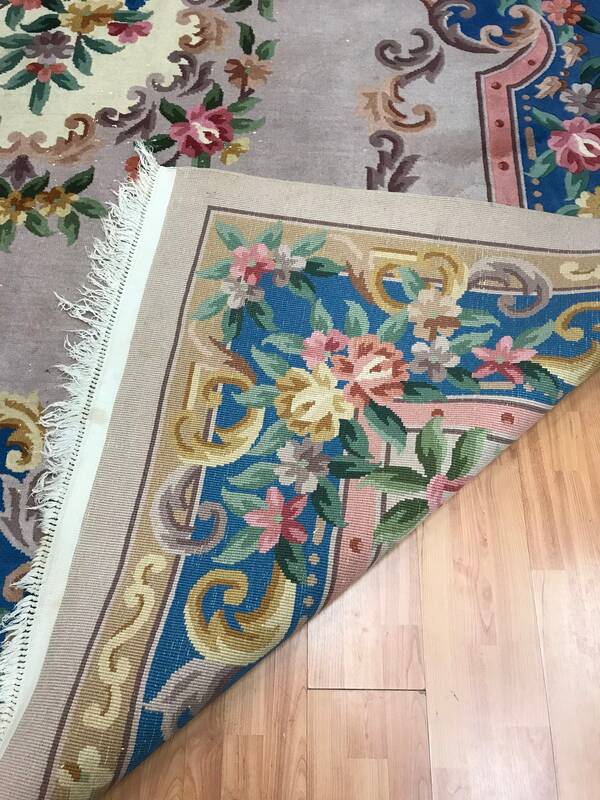 This rug is sold as is, no returns accepted.